Whales and dolphins live in tightly-knit social groups, have complex relationships, and talk to each other – much like human societies, new research has revealed. These intelligent creatures are even more sophisticated than we thought and have regional group dialects, look after friends’ children and teach each other how to use tools, the study found. Researchers found dolphins sometimes use a call associated with an individual when they’re not there – suggesting they gossip about each other too. However, unfortunately for them they don’t have opposable thumbs so they will never be able to mimic our great metropolises and technologies, researchers said. These creatures have regional group dialects, they look after friends’ children and they teach each other how to use tools, the study found. Research led by the University of Manchester linked the complexity of Cetacean culture and behaviour to the size of their brains. The study is first of its kind to create a large dataset of cetacean brain size and social behaviours. Researchers compiled information on 90 different species of dolphins, whales, and porpoises. Cetaceans share many traits with humans, including an ability to work with each other for mutual benefit, hunt cooperatively and interact with different species. Researchers studying whales ‘have documented ‘fads’ and ‘trends’ in songs such that they change between years and are passed from one group to another’, Dr Susanne Shultz an evolutionary biologist in Manchester’s School of Earth and Environmental Sciences told MailOnline. 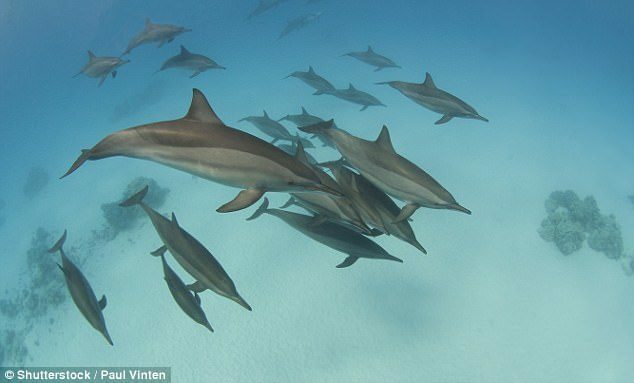 Dolphins have vocal mimicry and ‘signature whistles’ unique to individuals including ‘name’ recognition. ‘People have figured this out because a specific call is used every time an individual arrives as a greeting’, said Dr Shultz. As humans, our ability to socially interact and cultivate relationships has allowed us to colonise almost every ecosystem and environment on the planet. ‘We know whales and dolphins also have exceptionally large and anatomically sophisticated brains and, therefore, have created a similar marine based culture’, said Dr Shultz. The apparent co-evolution of brains, social structure, and behavioural richness of marine mammals is strikingly similar to hyper-sociality of humans and other primates on land, researchers found. ‘Unfortunately, they won’t ever mimic our great metropolises and technologies because they didn’t evolve opposable thumbs’, said Dr Shultz. ‘I would argue that they have the cognitive ability to make tools and possibly more- however, we will never really know what could have done with fingers and thumbs’, she said. The team used the dataset to test the social brain hypothesis (SBH) and cultural brain hypothesis (CBH). The SBH and CBH are evolutionary theories originally developed to explain large brains in primates and land mammals and explain how our brains have evolved to help us live in big groups. They argue that large brains are an evolutionary response to complex and information-rich social environments. However, this is the first time these hypotheses have been applied to ‘intelligent’ marine mammals on such a large scale. ‘The evidence in primates suggest they are doing a lot of things, including innovating, learning from each other, coordinating behaviour, policing each other and using a wide range of foods’, said Dr Shultz. ‘Our study is the first to show the same pattern in other mammals- in whales and dolphins those species found in stable ‘societies’ have bigger brains and these species show more evidence of cultural or learned traits’. 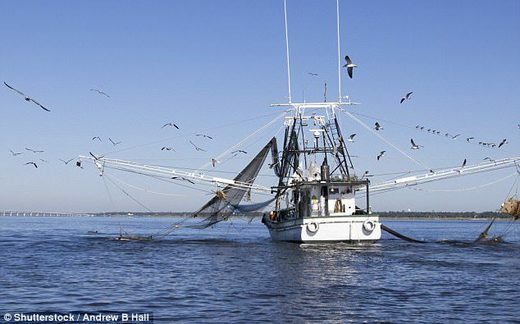 ‘This research isn’t just about looking at the intelligence of whales and dolphins, it also has important anthropological ramifications as well’, said Dr Michael Muthukrishna, Assistant Professor of Economic Psychology at LSE. In order to move toward a more general theory of human behaviour, we need to understand what makes humans so different from other animals’, said Dr Muthukrishna. ‘And to do this, we need a control group. Compared to primates, cetaceans are a more ‘alien’ control group’, he said.